Our product range includes a wide range of h frame scaffolding and scaffolding cuplock. 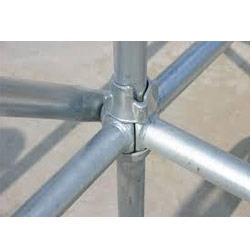 We are counted as the well-known manufacturer and supplier of quality approved H Frame Scaffolding. This scaffolding is widely used for construction, cladding, glazing and building facade purposes. Our offered scaffolding frame is popular among our patrons as the means of erecting scaffolding at various sites. This scaffolding is made by our skilled professionals using standard scaffolding tubes which ensure its durability and strength. The provided scaffolding is highly demanded by the clients due to its rigid construction and premium quality. Our domain expertise has enabled us to come up with an excellent collection of Cuplock Scaffolding. Our offered scaffolding is made only from the highest quality 48.6mm diameter tube and is hot dip galvanized, making it durable and long-lasting. 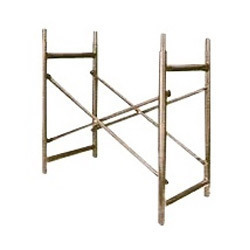 This scaffolding is used for various forms of access and support structures. Apart from this, this Scaffolding is widely used in construction industries. Our engineering team can assist our clients with the design of both interior and exterior solutions for all types of construction projects, shoring designs, and complex industrial applications.